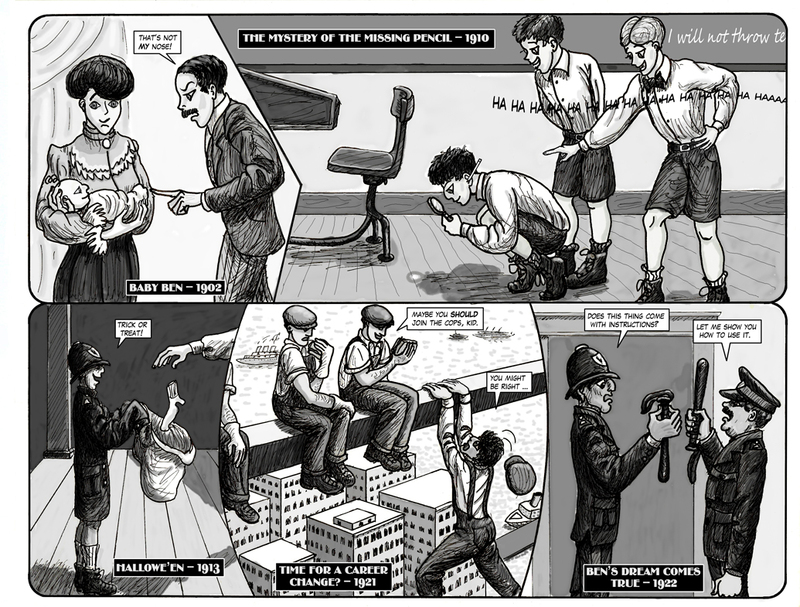 Clan Munro comic strip no. 15: On strike! 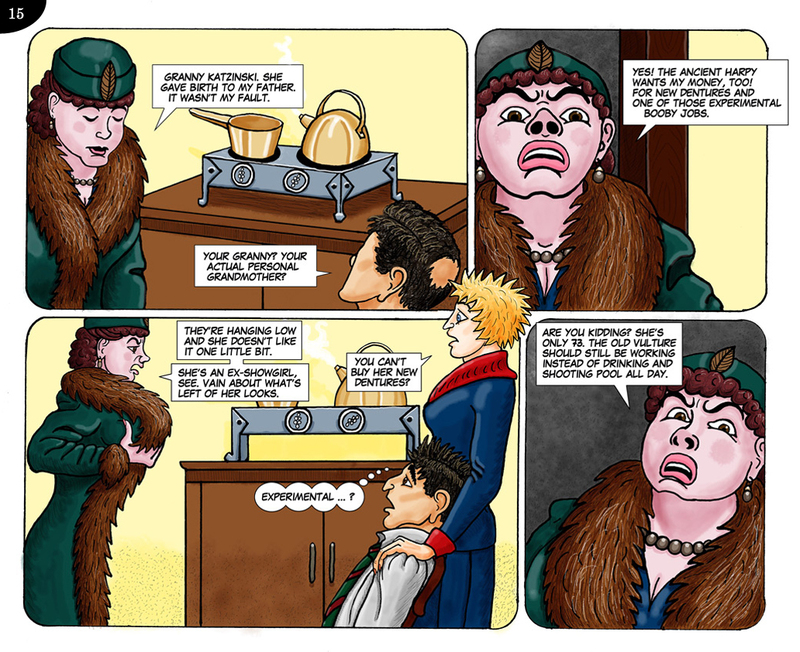 See all Clan Munro strips right here. Poor old Robin accidentally wins. But Duff should still watch his back. It’s entirely possibly that Robin will try to retaliate. Sorry! We forgot to warn you about the singing this time. Fortunately, this is the last time that Kitty breaks into song. See the entire story on this page. 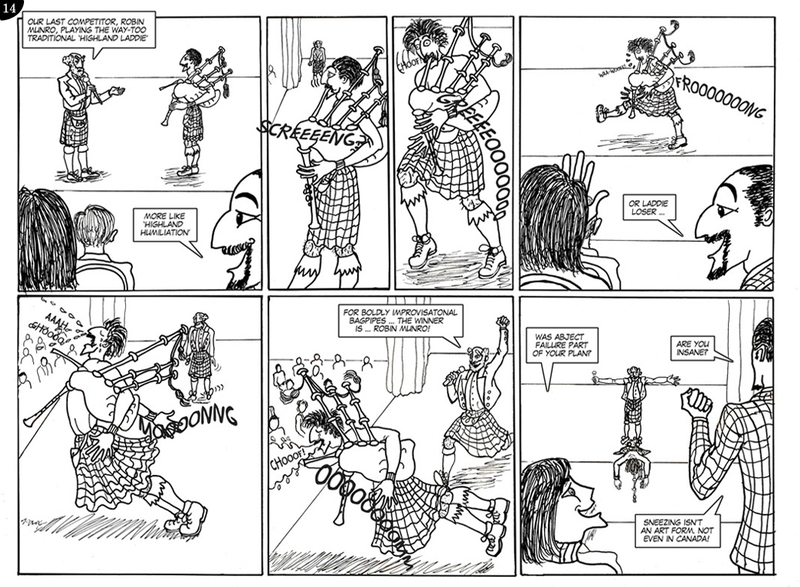 All the Clan Munro strips are available for your viewing pleasure right here. These are perhaps not Kitty’s most flattering angles. She would not like panels two and four. Though she might be okay with number three. You can see better views of Kitty (and the whole case) on this page.